Prantik Basu’s 26-minute ‘Rang Mahal’ (Colour Palace) follows the Santhali tribe of India, whose rich oral tradition, until recent years, was the only means of preserving and passing on their stories and myths through generations. The film is perhaps the first in Santhali language to travel to an international festival. 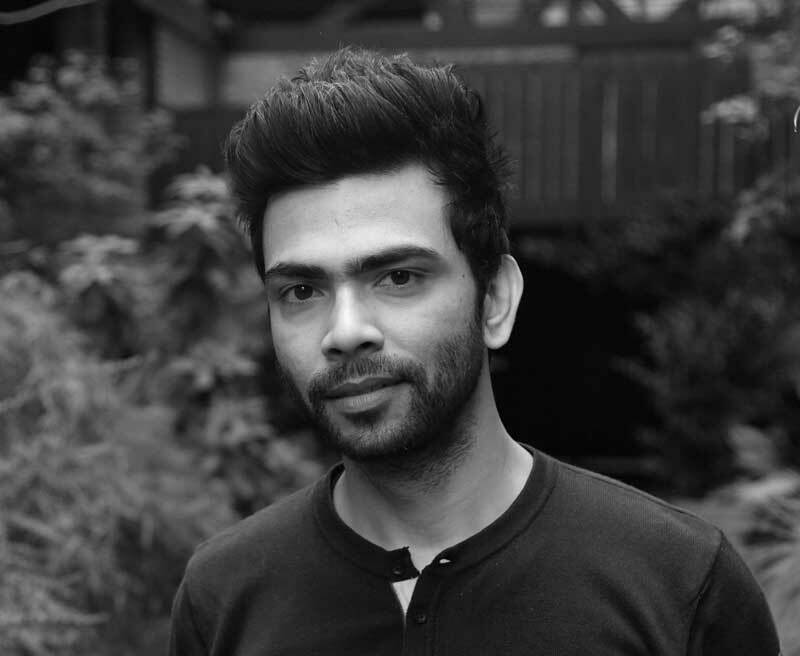 An English Literature graduate, Kolkata-based Prantik Basu studied Direction at the Film and Television Institute of India, Pune. His films have screened at festivals such as Rotterdam, Oberhausen, Rome, International Festival of India, and Experimental India. The director talks to Uma da Cunha about his penchant for the documentary and short film genre. How did the idea for ‘Rang Mahal’ germinate? While making another documentary in Purulia. During its recce, I came across Khodi Dungri, a colourful chalk-stone hill, whole rocks are used by the local Santhali community to make murals and paintings on the walls of their houses. I proposed a short documentary film project on the subject of ecological art to the Public Service Broadcasting Trust (PSBT). They were kind enough to commission the project and were very open to the way in which the film shaped up, given that it is not in a conventional documentary format. What drove you to working in shorts? I have always been a spaced out, introverted kid. My father was a Radio Officer for the Merchant Navy, and my mother and I would often accompany him on long trips. At times, we wouldn’t see land for months, and there would hardly be anyone of my age to play with. Old VHS movies were my best friends on ships, and my interest in them continued through my school years. I would watch the same films again and again, and obsessively sketch images from them. During my graduation in English Honours, I would often bunk college, and instead spend hours at the nearby Seagull Media Resource Centre, watching rare foreign films from their archives. This is when I started making short films, in 2006, before the DSLR times, when filmmaking was not as accessible as it is today. A few media production houses in Kolkata would rent out camcorders. I freelanced as a scriptwriter for one such house and managed to rent a PD 170 for a couple of days. I borrowed 7000 rupees (about 100 USD) from my mother, which became the budget for my first short. To be honest, I never set out to specialise in making short films. At that point, this was all I could do to express myself. But when I started travelling to festivals, I grew more interested in the format. There are things one can do or say in a short film which are unimaginable in a longer format, somewhat like the difference between a haiku and a long poem — both resonate differently. Your cinematic style veers towards the elliptical, through images, fables, folklore. What makes you think and work this way? I find viewing films merely as a tool for storytelling quite limiting, especially when they have a fixed narrative trajectory to induce the same emotion in every viewer. I find open-ended films more engaging; they treat the viewer with more respect and allow one to participate intellectually instead of being a mute witness to the creators’ own fancy. My work has often been referred to as surreal but I think my films are quite realistic. It all depends on what we perceive as real. On the contrary, I find many popular Indian films to be much more surreal. In particular, folklore interests me for I truly believe that all great stories have already been told in the past. The other day, a very popular 80s Hindi romance called ‘Maine Pyaar Kiya’ was on TV. It has a striking plot resemblance with the great Soviet master Sergei Parajanov’s film ‘Ashik Kerib’ (1988), which is based on an Azerbaijani folk tale. The tone and the intention are completely different, but both films say the same thing with different effects. Your time at FTII – how did it help your desire to be a filmmaker? Those five years were like another voyage into an ocean of films. Apart from watching rare classics on print at the National Film Archive, we were the lucky ones, who got to work with 16mm and 35mm celluloid and edit on the old Steinbeck machines. Our course was very practice driven. FTII provided us with an environment almost akin to a hermitage where we were free to evolve in our own ways and develop an individual voice. What’s more, I made some great friends there who I continue collaborating with. 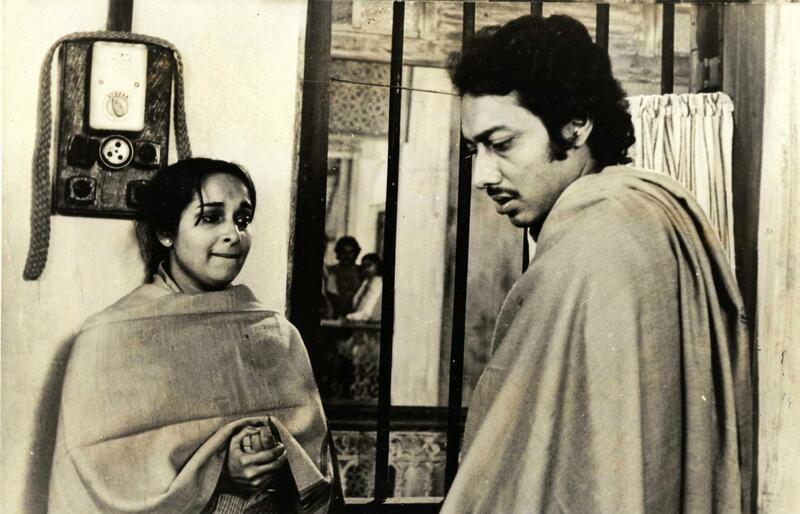 Who are the filmmakers you admire, from India and abroad? I admire the works of Sai Paranjpye, Mira Nair and Shekhar Kapoor a lot, as well as those of Thai filmmaker and artist Apichatpong Weerasethakul. When the Hubert Bals Fund announced their selection, it was a sheer fanboy moment, when I saw my name alongside his, on the same page. For a moment, I was more elated about this that the actual fund. How has your journey been over a span of 12 years, presenting 6 short films which have reached festivals and won prizes? So far, it has been great. Filmmaking, especially directing is a rigorous act, not just intellectual, but physical and emotional as well. It tends to wear you out, so I try to maintain a slow but steady working pace. There is no rush to produce mass work, I would rather create less if I cannot create work that has a life of its own. The 2017 International Film Festival of Rotterdam’s Tiger Award for ‘Sakhisona’ opened up a lot of funding and other avenues. Last year, my upcoming feature film project, ‘Dengue’ received the Hubert Bals Fund for Script Development. There seem to be few opportunities for short filmmakers to make their work known and reach more people. Are times changing for the better because of the internet? I am not sure yet. Revenues on these platforms depend on views, which depend on popularity, which in turn depends on reach and publicity. So it is a catch 22. What we need more is film education, sensitisation and openness to work of different tones and temporality. Only then will we have a more versatile viewing practice. But these are exciting times to work. Can you tell us something about your upcoming feature ‘Dengue’? ‘Dengue’ echoes similar concerns that have preoccupied me. But considering it will be a longer film, the form is quite different. It is a romance between two men from different socio-economic backgrounds during a sudden summer rain. It is a love story but not in the conventional sense of the term. Along with stronger, empowered female characters in cinema, it is imperative that we create a more sensitive and vulnerable masculine in Indian cinema. Last year, I participated in the Three Rivers Residency where I worked on the script with a mentor. I am currently preparing for a project presentation at the Eye film museum in Amsterdam, before heading for Berlin.